The older patient with diabetes is more prone to having hypoglycaemia, especially when glucose lowering drugs are used. Yet the International Diabetes Federation estimates that over half the population of people with diabetes do not know that they have it. The International Diabetes Federation estimates that over half the population of people with diabetes do not know that they have it.1 The World Health Organization criteria for diagnosing type 2 diabetes includes a fasting blood glucose of above 7mmol/L on one occasion if the patient has symptoms or two occasions if the patient is asymptomatic. In addition, in those with a post prandial or random blood glucose of greater than 11.1mmol/L or an HbA1c of greater than 48mmol/mol. Over the past few years, a large number of new classes of agent have been launched to treat type 2 diabetes. They can be divided broadly into those medications that lower blood glucose, in particular insulin secretagogues, such as sulphonylureas, meglitinides and insulin or those drugs that prevent blood glucose from rising, such as metformin, acarbose, thiazolidinediones, DPP-4 inhibitors, GLP-1 analogues and SGLT-2 inhibitors. The pharmacology of these drugs is quite important because drugs that stop blood glucose levels from rising are much less likely to be associated with hypoglycaemia than those drugs that lower blood glucose. 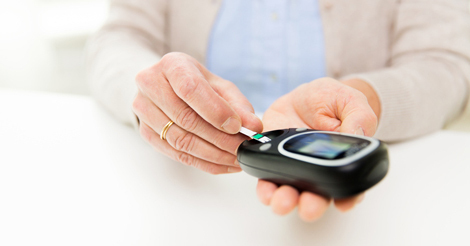 Hypoglycaemia is defined as a lower than normal blood glucose level. Usually this is defined as less than 4mmol/L and in the UK is either classified as either mild (if a patient is able to self-treat the episode or severe (if they require third party assistance). The haemodynamic changes following a hypoglycaemic episode are compensatory mechanisms to maintain cerebral profusion and splanchnic perfusion to maintain gluconeogenesis. These haemodynamic changes lead to an increase in cardiac stress, in particular an increase in heart rate and systolic blood pressure, a decrease in peripheral arterial resistance and a widening pulse pressure. Hypoglycaemia also leads to an increase in myocardial contractility and stroke volumes. In patients who have pre-existing ischaemic heart disease this increase in cardiac stress may have a significant impact, increasing the likelihood of myocardial damage. Furthermore hypoglycaemia has been shown to stimulate and increase levels of inflammatory cytokines, such as C-reactive protein, interleukin-1 and interleukin-6, tumour necrosis factor alpha and endothelin-1.9 Together these result in endothelial injury and changes in the coagulation cascade, which increases the risk of subsequent cardiovascular events. Hypoglycaemia also stimulates platelet aggregation and platelet activation.8,10 Previous work looking at the effects of ageing on hormonal responses has shown that in healthy elderly men symptoms of hypoglycaemia start at lower blood glucose levels compared to men who are younger. The elderly group were also prone to develop severe cognitive impairment during their hypoglycaemia than the younger age group and less likely to experience warning signs as blood glucose levels drop.11 This is likely to be responsible for the risk of severe hypoglycaemia in older patients with diabetes treated with sulphonylureas and insulin. Thus, in the ageing population one is less inclined to aggressively treat diabetes to prevent long-term complications, but rather to prevent the immediate harm that may be associated with either severe hypoglycaemia or hyperglycaemia. A recent publication from North America classified patients into three health status categories, which were designed to consider glycaemic goals. The three categories were: those who were relatively healthy, those who had complex medical histories for who self care may be difficult, and those with a very significant comorbid illness and functional impairment, many of whom may have had limited life expectancy. In summary, the older patient with diabetes is more prone to having hypoglycaemia, especially when glucose lowering drugs are used. They may be less aware of symptoms of hypoglycaemia and have a higher number of co-existing comorbidities, which make management of hypoglycaemia more difficult. Hypoglycaemia itself is associated with higher morbidity, including cardiovascular risk, injury and hospital admission. It is therefore important to individualise glycaemic targets and educate patients regarding the common precipitants of hypoglycaemia and its appropriate management.